This week’s health news roundup presents articles discussing irritable bowel syndrome, Crohn’s disease, kidney stones, inflammatory bowel disease, and cataracts. This week we discuss how IBS symptoms may be lowered with modified rye bread, natural treatments for Crohn’s disease, higher risk of kidney stones in ankylosing spondylitis, and how cataract surgery can help extend seniors’ lives. Irritable bowel syndrome symptoms are often aggravated by certain foods, but a new study suggests that a certain type of rye bread may help those who suffer from this intestinal disorder. Irritable bowel syndrome, or IBS, is a common gut disorder that can cause abdominal pain and discomfort, and either diarrhea or constipation. People who suffer from IBS can experience a worsening of their symptoms when they eat certain foods. These foods include beans, fried foods, chocolate, cruciferous veggies like broccoli, cauliflower, cabbage and Brussels sprouts, as well as fruits like grapefruit, pears, and peaches. 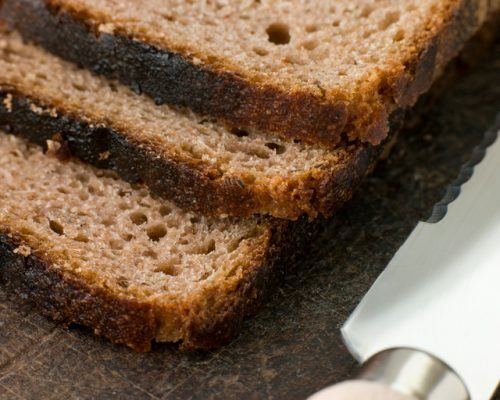 This latest study showed that irritable bowel syndrome patients who consumed modified rye bread that was low in FODMAPs, experienced milder IBS symptoms than people who ate normal rye bread. FODMAPs are a collection of molecules found in food that some people have trouble absorbing. Crohn’s disease, a type of inflammatory bowel disease (IBD), is a chronic condition that affects the intestines. The inflammation associated with the disease can trigger abdominal pain, diarrhea, weight loss, and malnutrition. Inflammation can occur anywhere along the digestive tract, affecting different people differently. Kidney stone risk is higher in patients with ankylosing spondylitis (a form of arthritis), according to research findings. Newly diagnosed kidney stones were found to be 19 percent more common in ankylosing spondylitis patients, compared to those without the condition. Patients with ankylosing spondylitis were found to have altered calcium and vitamin D metabolism, along with higher rates of inflammatory bowel disease (which can increase their absorption of calcium and oxalate). Another factor that can increase the risk of kidney stones in ankylosing spondylitis is the use of anti-inflammatory medications and immobilization. Inflammatory bowel disease (IBD) risk may increase with excessive hygienic environment. The researchers reviewed studies on IBD published between 1980 and 2015, assessing the participants’ contact with pets and farm animals, number of siblings they had, bedroom sharing in childhood, and access to personal toilet and hot water. The data were then sorted by ethnicity. The analysis revealed that the odds of developing IBD in people with a pet were 24 percent lower than in those without a pet. Being in contact with farm animals reduced the risk of IBD by 55 percent. Cataract surgery to correct visual impairment can help the elderly live longer, according to research findings. The data was taken from the Blue Mountains Eye study, where 354 persons over the age of 49 were diagnosed with cataract-related vision problems. Some of the patients had undergone cataract surgery, while others had not.